HBG type high back pressure foam generators are used in conjunc on with SSI semi sub surface injec on systems to discharge extended foam onto the liquid surface stored in the tank from low levels. 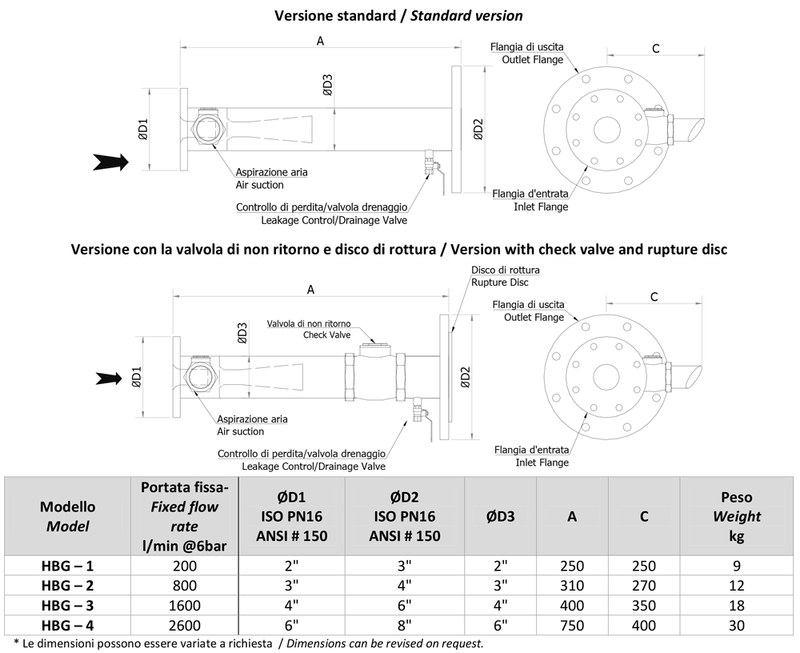 These systems can only be used with fixed roof storage tanks and are not recommended to be used with floa ng or internal floa ng roof tanks. The sub-surface method should only be used on tanks containing standard hydrocarbon based fuels such as: diesel, kerosene, gasoline, etc. It is not suitable for use on tanks that contain alcohol or polar solvent type liquids that are miscible in water. HBG's are equipment like Venturi inline mixers, with one major difference, the air is sucked and introduced into the solu on flow to create a forced expansion in the equipment. HBG's can handle a counter pressure caused by the stored liquid in the storage tank up to 40% of the pressure entering to the HBG. 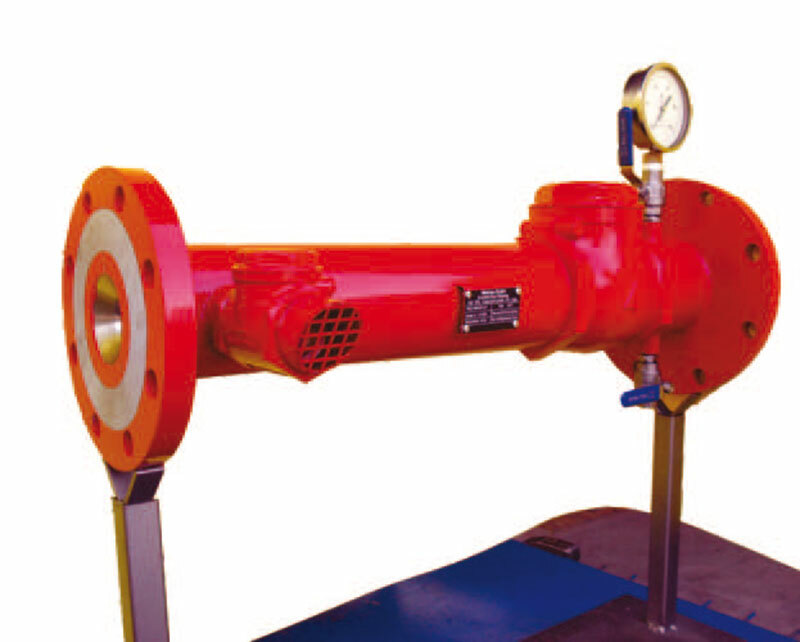 HBG's come with factory calibrated venturi nozzles to guarantee a precise flow rate at the desired pressure. 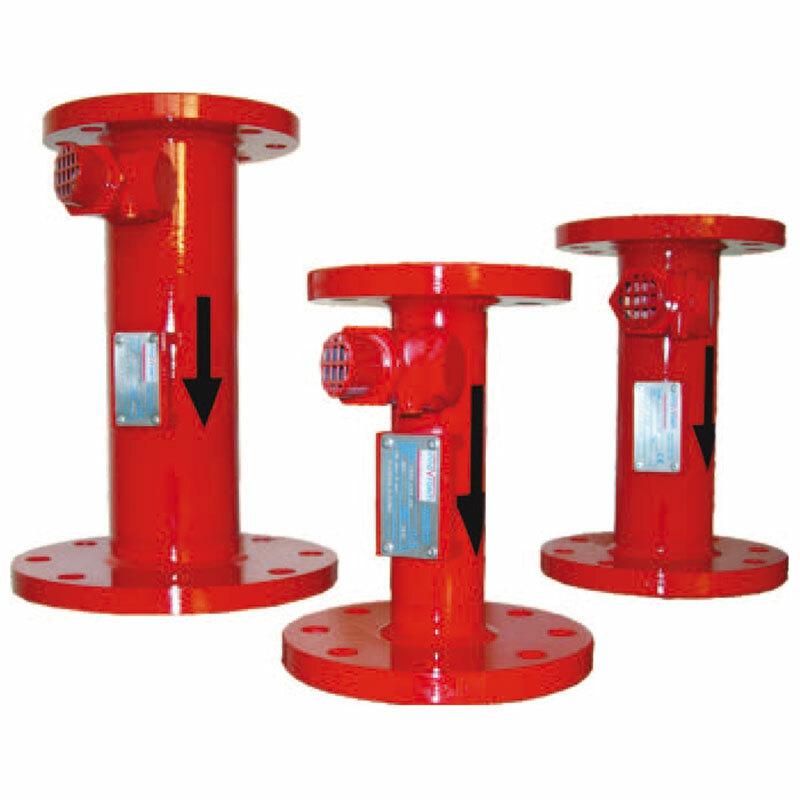 Air suc on port is equipped with a swing check valve which eliminates foam solu on loss caused by poor pressure arriving in equipment. HBG's can be supplied on request with Rupture disc's or check valves at the discharge line to create a proper protec on system as described by NFPA-11 storage tank protec on sec on. HBG's should be posi oned outside the dyke pool of the protected storage tank.